The Trinamul Congress and the GNLF want the coming civic polls in the hills to be fought on local issues but the very next day of the election notification, it is clear that the main plank of the campaign will be the statehood demand. 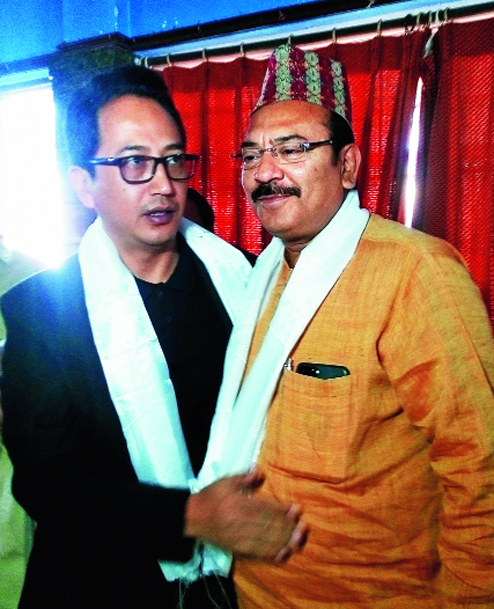 The alliance forged by Trinamul and the GNLF has accused the Gorkha Janmukti Morcha of playing with the sentiments of the hill people by raking up the statehood issue before every election. The Jana Andolan Party, which is fighting the municipality elections alone, too, had made a similar allegation against the Morcha. However, today, it was not the Morcha which raised the statehood issue. The Gorkha Jan Kalyan Party, a one-year-old party, today said it would appeal to voters to press the None of the Above (Nota) button in the forthcoming elections. Krishna Chhetri, the president of the party, today said: "We don't want to stay in Bengal and will not accept any administrative framework within Bengal. We, therefore, appeal to all our supporters to press the Nota button which is an option provided by the election commission. We would like to make it clear that we are not boycotting the elections." The GJKP leader has said the party will make a similar appeal to voters in all other elections as long as the hills are in Bengal. "Our demand is for a separate Gorkha Pradesh. We have changed the name of the state that we seek as we believe Gorkhaland does not send the right message to people in power at the Centre. Until we achieve Gorkha Pradesh, we will continue to urge our supporters to press the Nota button in all elections, be it to panchayats, GTA, Assembly or any other," said Chhetri.